Energy is different in many ways from other commodities. It is the pivotal independent variable for economic and social development. Energy resources are unevenly distributed around the world. The amount of power consumed around the world also varies broadly from country-to-country, which is reflected in differing nations’ energy and power profiles. Further, the delivery and distribution of some resources, like natural gas, are tied to fixed infrastructure which requires considerable long-term investment. This infrastructure is often transnational in character and as such requires trans-boundary cooperation between producer, transit, and consumer states alike for its unimpeded operation and protection. In Europe, the lack of infrastructure diversification in gas transit, the lack of interconnections between European states for gas distribution and for re-routing gas supplies to a gas starved country in the event of a gas-related emergency, and the continent’s growing dependence on Russian gas supply all help explain the region’s attempts to address these issues through collective EU energy and national security policies. In the US oil retains a virtual monopoly over transportation, ranging from personal vehicle and truck transport to air travel for both commercial and personal delivery to point of destination (as it does elsewhere for that matter). In 2008 over 70 percent of the oil burned in the US was for transportation related purposes and over 94 percent of US cars and trucks are dependent on oil-based fuels. The world or at least the United States remains mired in a carbon-determined universe. This requires the nation to address its own import dependency through a panoply of energy, national security and geographically specific regional defense policies. For most of the 20th century resource availability was largely construed as a narrow economic issue by most in the developed world. This should come as no surprise with the advent of globalization and the primacy of economics; this economic interpretation of the energy trade changed with the 1973 Arab oil embargo and with it came a growing proclivity for energy to be politicized. The multiple disruptions of Russian gas deliveries to downstream gas dependent European states also fall into this category. In short, while economic theorists argue that markets are the most fair and efficient arbitrator of price (true), oil resource availability—as but one example—has also been used as a political tool to punish or to exact political favor from gas import dependent consuming countries. In the oil world, the future attractiveness of using oil as a tool for political leverage increases with the growing concentration of exportable oil in a handful of Middle Eastern countries. For countries that use oil products as a basic transportation fuel (virtually all to a greater or lesser extent), the oil quandary is a natural calculation in their short-, medium- and long-term national security strategies. While such an observation may be found to be old news to many, many more countries appear unaware or unwilling to address this growing reality. While the US is often accused of being fixated on oil, it is Japan, Europe, and increasingly China that are more dependent on Middle Eastern imports of oil than is the United States as a percentage of their overall oil consumption. By summer 2010 many are predicting that oil will again reach, if not exceed $100/barrel, and therefore energy and energy security may re-emerge as a dominant topic of discussion in family, social, economic and political circles. Where does this leave energy security as an aspect or component of a nation’s overall national security policy? In part this depends on where one sits. Producers look to market stability, ability, and liquidity to purchase products at their preferred price as the measure of their own energy (and economic) security. Transit states look to the integrity of the infrastructure that traverses their territory as a key component of their own national energy and security policy. Consumer states fall back on the definition of energy security as energy availability at reasonable prices in helping them define their own national energy and security policies. In short, in arguing the merits of bolstering a nation’s energy security and in doing so its national security, there is no need to divorce the economic imperative from the energy security necessity of resource availability and critical energy infrastructure integrity. Drawing on the link between economics and energy security in fact strengthens rational arguments regarding the central role that energy and power play in a nation’s economic vitality and resiliency. It prioritizes energy and power availability in the national interest and logically points towards policy alternatives that enhance the national security imperative. It can be a catalyst for trans-boundary cooperation, as is the case in many pipeline projects from BTC to Nabucco, and for a good-governance policy framework, as is the case for the European Energy Community. A focus on the energy-economic nexus can also help clear the waters swirling around the energy security debate muddied by albeit legitimate yet often divergent environmental and climate change agendas. In short, the role of energy security in national security policy should focus first on the human dimensions of the energy-national security nexus. Environmental and climate change issues often deal a priori with threats and challenges emanating from the natural environment as a result of changes made to it. While solutions to problem solving may be applicable to all three issue areas (energy, environment or climate change) the foci of these policy areas are arguably different. Military planners and historians on the other hand have clearly understood the crucially strategic role that energy, most importantly petroleum derivatives for use in the propulsion of military vehicles, from tanks and jet aircraft to troop transport and vital supply and support operations, play in defending the homeland, winning a war, and depriving an adversary of this fundamental resource on which rests his ability to mount an offensive, to protect a key battlefield asset, or to stifle domestic social unrest during the prosecution of a conflict. In short, it has been the military logistician and not the petroleum engineer who first recognized the strategic role of energy in national defense. National security leaders now recognize that energy security in all its manifestations, from the domestic imperative of the protection of critical energy infrastructure, to the integrity of global energy supply chains, to the use of scarce resources for exacting political and economic leverage by producer countries over consuming ones, entails issues far afield from energy as a narrow resource issue. 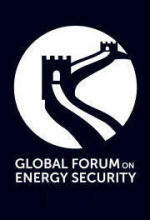 Energy security has become a defining security challenge of the 21st century. A nation’s energy profile: what it extracts in terms of resources, how it produces the power it generates, and how these resources and power are distributed, have long been the purview of national governments. These energy and power paths will naturally follow key national issues, address present and future vulnerabilities either real or perceived, and catalyze progress on energy and power opportunities presented to national or international companies operating within a nation’s borders. In short, a nation’s energy mix has historically been domestically determined and will continue to be so. This does not mean, however, that nationally determined policies by definition are either adequate or appropriate, particularly in dealing with events catalyzed by external actors. In determining a national security strategy that adequately addresses the energy question, no universal paradigm has yet emerged that is appropriate for all countries’ needs. However, affirmative answers to the following questions may help in assessing the buoyancy of a nation’s national security strategy where energy is concerned. Does the nation have a diversified energy supply portfolio? Does the nation benefit from diversity in transportation routes? And does the nation enjoy diversification in the countries which supply its energy imports? If diversification in one or more of these categories is lacking, vulnerabilities emerge. A good working example of how this rhetorical-diversification framework might help guide policy is the case of Europe’s Nabucco pipeline. Nabucco’s main objective is to diversify gas imports away from dependence on Russian product and their pipeline network. Participation of Russia in Nabucco therefore obviates the project’s diversification objective, and therefore Russian participation in Nabucco should be categorically denied. This is not an anti-Russian argument but moreover a pro-diversification policy that Europeans have yet to embrace. A second example is a proposed EU Industrial Emission’s Directive which will be voted on by the EU Parliament in May 2010. The directive gives plants six years to upgrade their equipment to comply with new air pollution standards or to be effectively shut down. The Confederation of British Industry argues that this could force the premature closure of up to 14 British power plants, potentially putting Britain’s energy security at risk. While the environmental objectives of the directive may be noble, reducing reliable energy supply on environmental grounds alone is patently unacceptable from a national security and, in particular, an energy security perspective. The directive also requires careful analysis of its diversification implications. If diversification efforts weaken a nation’s energy supply security, then the diversification strategy itself requires a re-think. In short, stove-piping national security policy where energy is concerned along narrow carbon mitigation parameters is simply bad policy. Clearly, a more integrated approach needs to be undertaken that balances the human security dimension of energy policy, with its environmental and climate change dimensions, in contributing to a coordinated and cohesive national security strategy. The risk is that Western politicians who are intent on reducing the threat posed by carbon emissions and climate change (laudable in and of themselves) risk the basic energy security and national sovereignty of the electorate that put them in office. Sacrificing national energy security on the altar of the environment belies recognition of the strategies conducted by countries with an entirely different national security agenda. 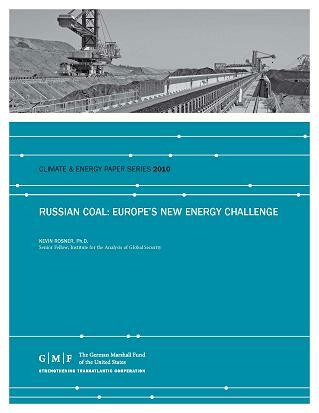 Oft cited, Russian energy imperialism and China’s energy expansionism are cases in point. Despite rhetoric to the contrary, neither country places a premium on either sound environmental management or climate change. In fact, Russia’s carbon emissions are on the rise and China has already eclipsed the US as the world’s largest emitter of GHGs. This isn’t to say that Western democracies should stoop to the lowest common denominator in terms of sound environmental management and a commitment to reducing carbon emissions, but it does argue for a eyes-wide-open approach to how energy is used by other major nations in pursuit of their own foreign policy and national security objectives. 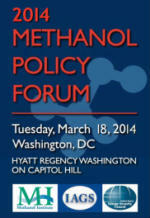 So How To Get To Sound National Energy Security Policy? Some national security professionals have yet to conceptualize how energy can impact their areas of responsibility or whether they need to analyze potential implications at all. Interestingly enough, this observation is taken from a US policy paper recommending how climate change should impact on national security policy decision making. Second, policy decisions regarding and impacting on energy and power generation need to be viewed first within the context of how they serve the nation’s energy security, and thus national security interests. After this exercise has been completed, a thorough review can be undertaken of how these same policies may impact on the environment and on the larger issue of climate change. Carrying out due diligence in this manner can help provide for better informed and more holistic decision making across a broad landscape of policy areas well beyond energy per se, reaching into the foreign policy, national intelligence and regional defense and security domains. These are the complex, messy and uncertain worlds in which energy rests in the 21st century. Third, closing the gap between national security policy and energy requires both communities of experts to edge towards the other in understanding and appreciating each other’s merit. A good example can be taken from the page of how energy and power can be provided to the people of Afghanistan. Unless an Afghan national security assessment provides certainty that a sound security environment can be maintained indefinitely, no large scale centralized power and distribution projects should be undertaken in that country. Large-scale power projects have been a successful part of the West’s development paradigm for much of the past 100 years. Such a strategy requires, however, a second look before rolling out power generation and transmission in a conflict environment. This does not mean that those caught in a conflict zone should go without power. In a less-than-secure environment, power can be provided to Afghans on a decentralized basis and, in doing, give electricity access to a population that has never known it. Concurrently, the provision of power on a decentralized basis is a conflict mitigation strategy that removes potential targets in the form of large electric power generating stations and transmission networks. These assets, if built in a less-than-secure environment, are certain to provide a new host of targets for adversaries in the future. Fourth, while energy security imperatives will continue to be driven by domestic needs and constraints, regional cooperation should be explored and supported wherever feasible. Transboundary cooperation should be pursued wherever possible. Studies and models on transboundary water cooperation may be applicable here, but they require further analysis and assessment as to whether these models are entirely appropriate for energy in enhancing the overall objective of regional energy security and quid pro quo regional stability. The effort aimed at regional cooperation on energy security is by far the most difficult and contentious issue that national governments are asked to face on a collective basis. The history of advancing energy security within a NATO framework is a case in point. In spite of specific references in official NATO strategic documents to the protection of the flow of natural resources and critical infrastructure, and in spite of the importance ascribed to energy security by states across entire regions that NATO envelops, few ‘actionable’ steps have been agreed upon by the members. Admittedly, the North Atlantic region is large and it is difficult to reach consensus in terms of what should be done to protect all states in this region from threats and challenges to their energy security. Having said this, states across Central and Eastern Europe, Turkey and NATO partner countries in the Caucasus and across the Baltics have all made pronouncements regarding the imperative of energy as a national security concern well in advance of the November 2010 NATO Lisbon Summit, where a new Strategic Concept is expected to be unveiled. Energy as a security issue rather than a pure resource issue is a relatively new concept. Policy practitioners daily climb a learning curve that could be steeply accelerated by horizontal dialogue and information sharing among experts across different domains, including energy, defense and security, national intelligence, foreign policy, banking and finance, just to name a few. Substantive experts need to make policy recommendations in terms that those on the front line can translate into actionable items. National and homeland security experts need to remain cognizant of international developments with national implications, and those in the energy industry need to recognize that many of the issues they face in their operations are already being addressed by experts in both the hard and soft sciences. Through these efforts and others, the gaps which exist between energy and national security policy could be narrowed for the purpose of a more governable and secure future for all. 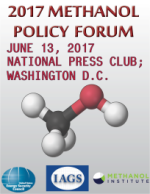 Kevin Rosner is a Senior Fellow with the Institute for the Analysis of Global Security and is Editor of the Journal of Energy Security.